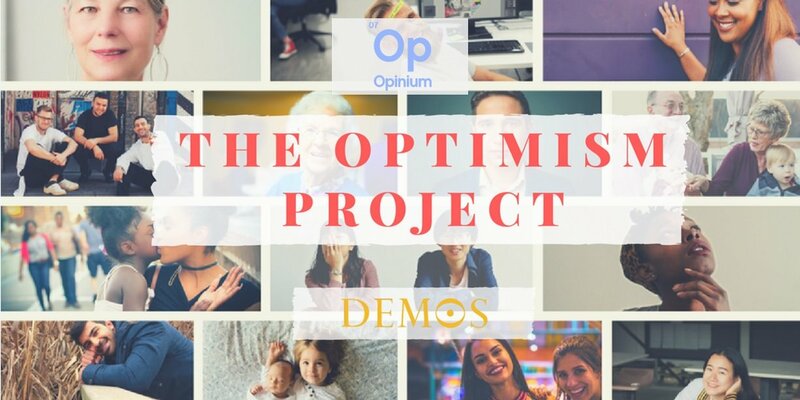 We came together with Demos to explore and identify where optimism in Britain is still strong, and what is driving it. We’re inspired to launch a new conversations, away from fear and division, and towards a collective understanding of what makes this country great! 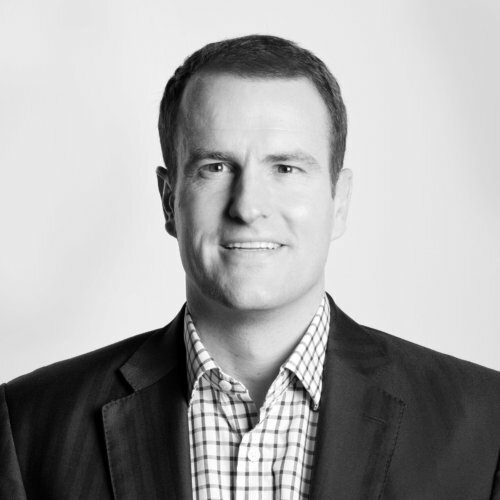 We’re excited to support Demos build a successful, unifying programme for national renewal, that is rooted in the authentic experience of our citizens. We are living in an age of outrage. Political discourse is dominated by division, resentment and hostility. Pessimism has set in about the prospects of the next generation, and about our institutions’ capacity to respond to the problems of our time. The reward systems of social media enable and encourage a form of hyperbole and dissimulation that drives moderate and reasonable voices into retreat. Neither a paralysed government nor a radicalised opposition seems able to think beyond their own boundaries: when they call for unity it is always unity in the form of blind submission. It is easy to despair: but the Optimism Project is driven by determination not to despair. 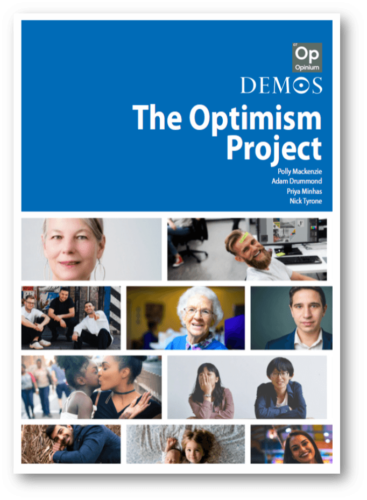 This short paper sets out the role Demos, Britain’s leading cross-party think tank, hopes to play in restoring a sense of national purpose, unity and optimism to our divided country. We will contribute our research, our ideas, and our commitment to the “demos”, the shared identity of a nation, to this, one of the greatest challenges our democracy faces. 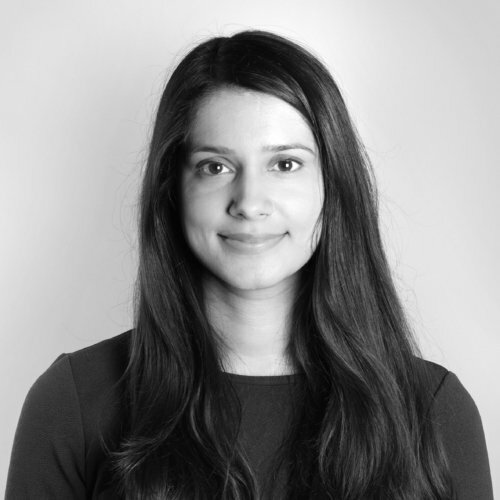 This paper – enabled by a partnership with Opinium – identifies the sources of division and discontent in Britain today. 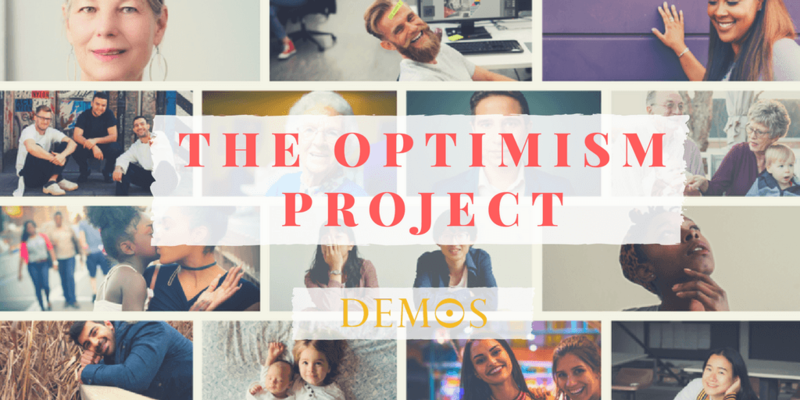 It sets out why and to what end Demos has launched the Optimism Project. 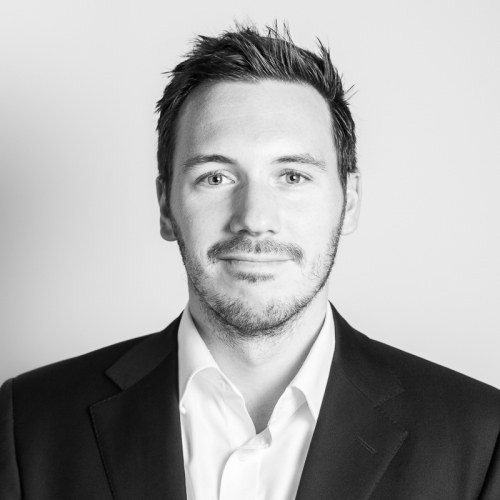 It outlines the findings of Opinium’s research, identifying where optimism is still strong, and what is driving it. Finally, this paper sets out our conclusions on how to build a successful, unifying programme for national renewal, that is rooted in the authentic experience of our citizens.